Congratulations to our newest cohort of McCarthy Fellows in Sacramento. This upcoming summer, thirteen students will be experiencing first-hand the policymaking and advocacy in our California state capitol. 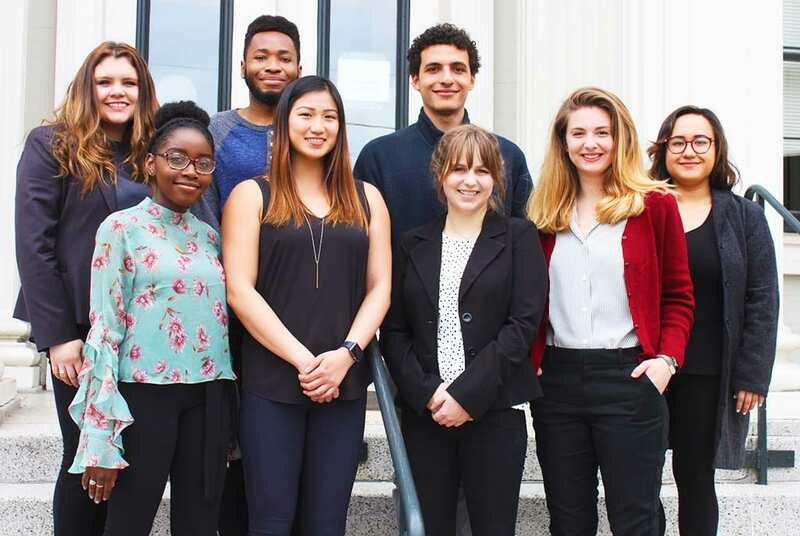 In addition to a rigorous course on California politics, the Fellows will also be interning full-time at various organizations, department agencies, Assemblymember and State Senate offices. This 12-week program combines a service learning course concurrent with a real-world application through a public service internship. Our Fellows will get a front row seat to observe and learn how public policy happens at the state level and build the skill set necessary to be change leaders in their communities. Alexis completed her BA in Politics with a minor in Legal Studies. 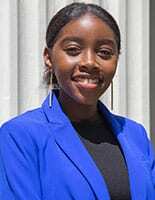 Her undergraduate work experience includes a congressional internship in Washington D.C, lobbying for funding on behalf of USF here in Sacramento, and working with various educational nonprofit organizations that aim to help underfunded schools. Throughout her academic and work experiences, Alexis witnessed first-hand how income inequality negatively impacts school funding and jeopardizes access to educational resources. 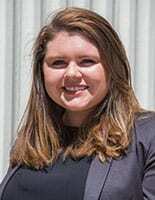 During her time in Sacramento, she hopes her exposure to legislative research and policy-making processes will provide the knowledge and skill set needed for a hands-on approach to policy formulation. Alhaji is a rising nursing student excited about joining the McCarthy Fellows cohort. 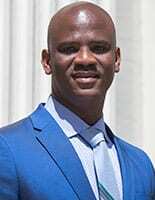 He is originally from Sierra Leone and is excited to experience California state politics, particularly public policy issues as it relates and connects criminal justice issues with health-related policy. He looks forward to learning more about policymaking, improving his advocacy skills, and being in a better position to affect change at a community level and strengthen the capacity of vulnerable communities. Pascal Boctor is a Junior majoring in International Studies. He is most excited about to build upon the skills he has established at USF and to acquire new professional skills. His goal for the summer is to achieve a better understanding of state legislation and has aspirations of one day running for office on either the state or federal level. Pascal hopes that with the experiences gained, he will have a better understanding of topics, cultures, and identities that are different than his own. Madeline is excited to join the McCarthy Fellows to acquire more knowledge about the policymaking process at the state level. Born and raised in Sacramento, she is well versed in the city’s issues but is eager to learn more about state politics. Madeline is interested in the intersection of criminal justice and education policy and wants to enhance her policy analysis skills so she can positively affect her community. 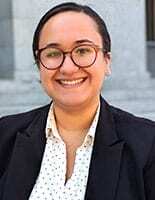 Teresita is excited to be joining the McCarthy Fellows in Sacramento this summer and looks forward to gaining first-hand experience working with and expanding her knowledge of California policy-making processes. Through this program, she plans to further develop her interpersonal engagement and analytical skills in the public service sphere. 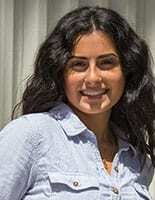 Tanya Leon, is a rising Senior at Chapman University. She is excited to expand her understanding of the unique Californian political climate and legislative process. 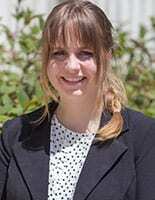 She also hopes to continue to develop her research and analytical skills. 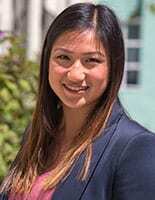 Her time in the McCarthy Fellows program will give her the skillset to take what she learns in Sacramento and apply it back at home in Southern California. Glenn has spent the past two summers observing the convention process at the RNC as a media intern and interacting with policy in a non-profit advocacy setting. 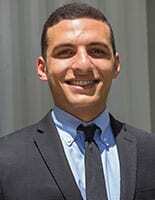 He will be joining the McCarthy Fellows Program in Sacramento this summer to gain an understanding of California policy-making and hopes to develop skills in research and writing. 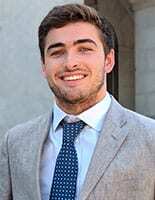 He also hopes to do discern a career path in policy, whether that means public service or non-profit advocacy. Tara will be joining the McCarthy Fellows Program in Sacramento this summer to pursue a different side of nursing, the legislative side. She plans to use this time to see what goes on behind the scenes in healthcare, to get a better understanding of the policies and laws that she learns about and abides by in nursing school. With this whole other side to nursing and healthcare, she hopes to gain valuable experience that can be utilized throughout her nursing career. Mutale has spent the past year working for San Francisco Rising, an organization focused on creating an electoral alliance that helps to build power for working class communities of color in San Francisco. 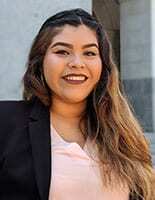 She has worked on a year-long inclusive campaign to fund college tuition for Californians that would include the formerly incarcerated and undocumented students. The McCarthy fellowship will provide a different perspective of how change is made on a governmental scale compared to the grassroots level to help her navigate how she would like to create change in healthcare. 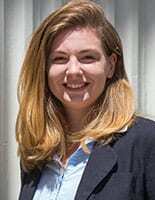 Cassie will be joining the McCarthy Fellows cohort to expand on her political research skills and see California environmental policy up close. She’s excited to expand her network and meet people with similar passions. After the program, she wants to apply this new knowledge as a starting point for her work with conservation policy in rural Peru as she conducts research abroad next semester. Justin is a rising Junior and is excited about joining the McCarthy Center cohort. He most excited about not only learning the in’s and out’s of state government, but also how to help his community in the future. 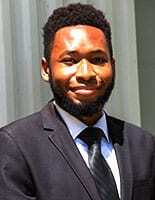 He wants to expand his knowledge of how state and local politics works and how to best go about changing the inequitable circumstances of specific populations. Justin is also looking forward on sharpening his professional and networking skills through in this experience by working with and learning from various legislatures and agency organizations. Lillian is really enthusiastic about learning the general California policy and politics this summer and becoming more familiar with environmental policies in particular. She is ready to take up a new challenge and get informed on some important local issues and their legislation. After completing the program, she hopes to apply her hands-on experience towards a future career in environmental advocacy and policy. This entry was posted in Academic Year 2017-2018, Leo T. McCarthy Center (LTMC), Summer 2016, Undergraduates, University of San Francisco and tagged Alexis Arellanes, Alhaji Kabba, Cassie Murphy, Glenn McDonell, Justin Nkemere, leadership, Leo T. McCarthy, Leo T. McCarthy Center, Lillian Tu, Madeline Campbell, McCarthy Fellows, Mutale Mulenga, Pascal Boctor, Sacramento, Tanya Leon, Tara Minaee, Teresita Estevez, University of San Francisco, USF, usfca. Bookmark the permalink.